07/19/2016 The Los Angeles County Dept. of Public Works is constructing the Marina del Rey Parking Lot 9 Project (located at 14110 Palawan Way) to install permanent stormwater best management practices to address water quality in the Marina and enhance the waterfront promenade by adding two new parklets with seating, new bioswale planting and interpretive signage. Mobilization and construction by GMZ Engineering is anticipated to start on July 25, 2016, with approximately a 4 month duration. Working hours will be from 8 a.m. and 5 p.m., Monday through Friday (except holidays). The work will be phased to allow for Parking Lot 9 to remain open and in operation during construction, just with reduced parking spaces. Some activities will also take place along the sidewalk by Mother’s Beach to improve ADA pedestrian walkways, beginning in September. Please be alert, observe posted signage and proceed with caution through the construction areas. Businesses are open during construction and driveway access will be maintained. Expect intermittent delays. We appreciate your patience and cooperation as construction progresses. For more information, please contact our Project Manager, Hannah Dewey, at (626) 300-3222 or hdewey@dpw.lacounty.gov. In the next few weeks, construction-related activities along Via Marina in Marina del Rey will require lane closures that will continue until 2018. The road lane closures are necessitated by redevelopment and infrastructure improvement projects that LA County officials are working to coordinate in an effort to minimize traffic delays and other negative impacts on the community. •	Northbound Via Marina traffic will be re-routed to a single lane between Marquesas Way and Panay Way during working hours, up to four days a week, occurring between Mondays and Saturdays, from 8 am – 5 pm, over an 11-month period starting May 2016. •	Additional closures are anticipated in the Spring of 2017, when construction is expected to begin on the City of LA's Venice Dual Force Main Project. At that point, both north and southbound traffic along Via Marina will be reduced to one lane of traffic in each direction. A center lane will be reserved for turning and emergency vehicles. That traffic pattern is expected to remain in effect around the clock for at least 10 months. County officials are working with both the City of LA and private developers with projects underway in the Via Marina area to coordinate construction activities in order to reduce traffic delays, noise, and other negative impacts. Still, motorists and residents are likely to experience delays and other inconveniences related to construction activities. We appreciate the public’s patience during this period. For more information, on current and future construction activity in Marina del Rey, visit the LA County Dept of Beaches & Harbors website at http://beaches.lacounty.gov or the LA County Dept of Public Works' Marina del Rey website at http://dpw.lacounty.gov/go/mdr. Please contact LA County Department of Beaches & Harbors with questions at (310)305-9503 or info@bh.lacounty.gov. As part of this work, all steel plates in the roadway will be removed, the sidewalk, curb & gutter will be restored, and the trench will be paved back with permanent asphalt. Construction activities may cause traffic delays between the hours of 8:00am – 5:00pm, Monday through Friday. For cyclist safety, the portion of the Marvin Braude bike path located along Fiji Way will continue to be rerouted throughout construction. Cyclists will be directed to cross the intersection of Admiralty Way and Fiji Way to use temporary bike path lanes located along the outer northbound lane of Fiji Way, and the detour will end at the terminus of Fiji Way. These shared bike lanes have delineators to separate the bidirectional flow of cyclists. The bicycle lanes will be restored back to their pre-construction alignment in May 2016. For the safety of everyone, please exercise caution while in the vicinity of all construction activities by observing all traffic controls and flagmen. We appreciate your patience and cooperation as construction progresses. For more information, please contact our Project Manager, Nima Parsa, at (310)317-1389 or nparsa@dpw.lacounty.gov. 05/18/2015 Behind the green fence on Washington Boulevard, a transformative project is taking place. A 56-year-old flood control basin is being renovated to become a healthier, more-vibrant ecosystem with new opportunities for recreation and observing wildlife in a natural setting. The $13 million Oxford Basin Multiuse Enhancement Project will increase flood protection for neighboring properties and provide park-like amenities; a lush, native plant habitat and improved water quality within the basin. Other key project elements include an illuminated walking path, bike lanes, decorative fencing and the replacement of non-native and diseased vegetation with 730 native trees and more than 45,000 native plants. Construction at the project site will resume in the latter part of May or early June with trucks removing wet sediment and soil from the basin. LA County Public Works will work closely with the contractor and neighboring communities to limit the temporary increase in dust, noise and traffic. The project is on target for completion in spring 2016, and Public Works will provide regular email updates on its progress. For more information and to see project renderings, please visit the Oxford Basin website at www.dpw.lacounty.gov/go/oxford, or contact Vincent Yu at (626)300-3203 or VYU@dpw.lacounty.gov. Please be advised that the City of Los Angeles will be hosting a Public Hearing for the Venice Dual Force Main Sewer project. The City of Los Angeles Department of Public Works will construct a new force main sewer to supplement the existing 50-year-old force main sewer. The project is in its final permitting processes. The Venice Dual Force Main will cross Grand Canal from the Venice Pump Plant and continue east along Marquesas Way to Via Marina, then travel south crossing the Marina del Rey and Ballona Creek Channels to Vista del Mar. The alignment crosses both City and County jurisdictions. WHEN: Wednesday, January 21, 2015, 6:30 p.m. - 8:30 p.m.
All comments will be considered prior to a decision on the case and must be received by 4:00 p.m. Thursday, January 22, 2015. The application, exhibits, and other information related to the case are available for review at the Environmental Management Group office located within the Department of Public Works building (1149 S. Broadway, Suite 600, Los Angeles, CA 90015-2213). diameter steel pipeline to replace the existing, aged, and undersized 10 and 14 inch-diameter water mains around Marina Del Rey along Via Marina from Marquesas Way to Bora Bora Way, and along Fiji Way from Admiralty Way to the end of Fiji Way. All fire hydrants and customer service connections will be improved as well. The purpose of the project is to improve the Marina Del Rey Water System to meet domestic and fire protection water demands more effectively. This project is the fourth and final part of a multi-phase plan to replace the existing Marina Del Rey Water System. Please note that a portion of Public Parking Lot 12 (northeast corner of Via Marina and Marquesas Way) will be used as a staging area for construction. Construction activities may cause traffic delays between the hours of 8:00am – 5:00pm, Monday through Friday. For the safety of everyone, please exercise caution while in the vicinity of all construction activities by observing all traffic controls and flagmen. We appreciate your patience and cooperation as construction progresses. For more information, please contact our Project Manager, Nima Parsa, at (626) 300-3319 or nparsa@dpw.lacounty.gov. The City of Los Angeles Department of Public Works will construct a new force main sewer to supplement the existing 50-year-old force main sewer. The project is in its final permitting processes. The Venice Dual Force Main will cross Grand Canal from the Venice Pump Plant and continue east along Marquesas Way to Via Marina, then travel south crossing the Marina del Rey and Ballona Creak Channels to Vista del Mar. The alignment crosses both City and County jurisdictions. Please be advised that the City of Los Angeles will be holding two meetings in January 2015 regarding the Venice Dual Force Main project. The first meeting will be a Community Open House for the Venice Dual Force Main project on January 8, and the second meeting will be the City's Coastal Development Permit (CDP) hearing on January 21. Details on each meeting are below. When: Thursday, January 8, 2015, 6-8 p.m. Please note that this meeting will be an open house format, with City of Los Angeles staff on-hand to answer your questions between the hours of 6 pm - 8 pm. There will not be a formal presentation. When: Wednesday, January 21, 2015, 6:30-8:30 p.m.
12/16/2014 The Los Angeles County Department of Public Works, on behalf of the Marina Del Rey Water System, has awarded a contract to Minco Construction to complete the Marina Del Rey 18-Inch Waterline Replacement Phase IIIB project, beginning in December 2014 and ending in August 2015. This project will include both vehicular and bicycle detours throughout the duration of construction. Please note that construction activities may cause traffic delays between the hours of 8:00am – 5:00pm, Monday through Friday. For the safety of everyone, please exercise caution while in the vicinity of construction activities by observing all traffic controls and flagmen. For cyclist safety, the portion of the Marvin Braude bike path located along Fiji Way will be rerouted throughout construction. Cyclists will be directed to cross the intersection of Admiralty Way and Fiji Way to use temporary bike path lanes located along the outer northbound lane of Fiji Way, and the detour will end at the terminus of Fiji Way. Please note that the shared bike lane will use delineators to separate the bidirectional flow of cyclists. Signage will be posted to indicate all closures and detours. We appreciate your patience and cooperation as construction progresses. For any questions or concerns, please contact Nima Parsa, Project Manager, at (626) 300-3319 or nparsa@dpw.lacounty.gov. 12/01/2014 The Los Angeles County Dept. of Public Works is pleased to announce the commencement of construction for the Oxford Retention Basin Multiuse Enhancement Project. This project will significantly improve the existing Oxford Retention Basin, located between Washington Blvd and Admiralty Way (map: http://goo.gl/maps/u0p7F), enhance flood protection, reduce runoff pollution, provide passive recreational features including a walking trail, and significantly improve the quality of plant and wildlife habitat within the facility as well as its aesthetic appeal. In order to avoid disrupting wildlife activities that take place during bird nesting season, tree removal will commence on December 9, 2014 and is expected to be completed by December 30, 2014. During this time, drivers in the area should expect some traffic control on Washington Blvd due to truck entry into the facility. The remaining construction of the project is scheduled to commence following the storm season in May 2015; therefore, there will be a scheduled break between removal of trees and commencement of construction. We will send more notices as we approach other work. We appreciate your patience and cooperation as construction progresses. For more information, please visit the project website at http://dpw.lacounty.gov/go/oxford or contact the Project Manager Rick Sun at (626) 300-3259 or rsun@dpw.lacounty.gov. WHEN: Wednesday, November 19, 6-8 p.m. Please be advised that the City of Los Angeles will be hosting a Community Briefing for the Venice Dual Force Main Sewer project. City staff will be on hand to provide an overview of the project, its purpose and the coastal development permitting project. Although you may already be familiar with the project and may in fact have already had an opportunity to attend a community briefing or other presentation, the City of Los Angeles is continuing to hold community briefings in an effort to inform as many members of the community about the project, as well as to provide updates. Please forward this information to others who may be interested in learning more about the Venice Dual Force Main project. 09/15/2014 Los Angeles County Dept. of Public Works is constructing the Marina del Rey 18-Inch Waterline Replacement Phase IIIB Project. Potholing needs to be performed in advance of the mainline construction. Potholing activities commenced today with an anticipated 3 week duration for this scope of work. You can expect some traffic control in localized areas on Fiji Way and Via Marina where the potholing work is being performed. The mainline construction isn't expected to start until November; therefore, there will be some downtime in between activities. We appreciate your patience and cooperation as construction progresses. For more information, please contact our Project Manager, Heather Savanapridi, at (626)300-3324 or hsavanapridi@dpw.lacounty.gov. 08/21/2014 The Los Angeles County Department of Public Works has issued a contract to Minco Construction to construct the Marina Del Rey 18-Inch Waterline Replacement Phase IIIB project. This project will replace the existing, aged, and undersized water mains along Via Marina (from Marquesas Way to Bora Bora Way) and Fiji Way (from Admiralty Way to terminus) to improve the Marina Del Rey Water System. In an effort to minimize inconvenience to the community and businesses, the contractor is waiting until after the Labor Day holiday to start work. Barring unforeseen circumstances, construction is expected to start in September 2014 and continue through May 2015. Please note that a portion of the Fisherman’s Village parking lot will be used as a staging area for construction, but an overflow parking lot located directly across the street will be available for patron use throughout construction. Also, please note that construction activities may cause traffic delays between the hours of 8:00am – 5:00pm, Monday through Friday. For the safety of everyone, please exercise caution while in the vicinity of construction activities by observing all traffic controls and flagmen. 07/14/2014 As part of the Venice Dual Force Main Project, the City of Los Angeles will be conducting subsurface surveying for underground infrastructure and Cone Penetrometer Testing along Via Marina. These tests will occur in 1,000 – 1,500 foot sections and each section will take approximately one day (8 a.m. to 5 p.m.) to complete. Traffic may be reduced to one lane in each direction. Work started today and expects to continue through Friday (7/18). Please be alert, observe posted signage and proceed with caution through the work areas. If you have any questions or concerns, please contact Patrick Schmidt with the City of Los Angeles at patrick.schmidt@lacity.org or (213) 847-0535. 06/30/2014 Notice anything different last night or this morning on your drive along Via Marina & Admiralty Way? A project to equip 10 busy intersections in Marina del Rey with energy-efficient, LED highway safety lighting was completed this past Saturday. The County’s existing system of high-pressure sodium lights in the Marina was replaced with cooler-burning, LED technology expected to produce enough energy savings to power three average-sized homes for a year. Highway safety lights are mounted atop traffic signals to illuminate intersections and improve night-time visibility for motorists and pedestrians. LA County Public Works currently maintains 2,700 of these lights at intersections throughout County unincorporated areas. Marina del Rey is the first County community to see the benefits of a $1.2 million improvement plan that will provide LED upgrades to each of these County-maintained intersections. This larger effort is expected to take two years and $1.2 million to complete—the cost of which will be recouped with energy conservation savings over a five-year period. 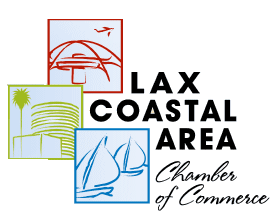 06/11/2014 The Oxford Basin Multiuse Enhancement Project is scheduled to be considered for approval by the California Coastal Commission at their hearing this Friday, June 13, 2014 at 9:00 a.m. at Huntington Beach City Hall. You can view the full hearing agenda and the Coastal Commission’s staff report at http://www.coastal.ca.gov/mtgcurr.html. The project website at http://dpw.lacounty.gov/go/oxford provides project information such as renderings, the Mitigated Negative Declaration, and other documents related to the project. For more information, please contact Project Engineer Josh Svensson at (626) 458-7157 or jsvensson@dpw.lacounty.gov. 06/03/2014 Los Angeles County Dept. of Public Works is constructing the Marina del Rey Parking Lots 5 & 7 Project. As part of construction, work will take place in the parkway adjacent to Parking Lot 7 (located across from the Ritz-Carlton). As a result, beginning the week of June 9th, traffic may be reduced to one westbound travel lane along Admiralty Way in front of Parking Lot 7, during working hours only (8 am – 5 pm, Monday – Friday, except holidays). The Marina City Drive left turn pocket will remain open. Construction is expected to last approximately 3 months. Please be alert, observe posted signage and proceed with caution through the construction areas. Businesses are open during construction and driveway access will be maintained. Thank you for your continued patience. 06/03/2014 Southern California Edison (SCE) is holding an information seminar to provide customers with a better understanding of utility outages, as well as the processes for both unplanned and planned maintenance outages. This Outage School seminar is being held on Tuesday, June 17th from 9:30am – 11:00 am, at SCE Santa Monica Service Center, 1721 22nd St, Santa Monica, CA 90404. For registration information, please go to https://survey.sce.com/perseus/se.ashx?s=0B87A62B073C413D. 05/27/2014 The Los Angeles County Dept. of Public Works is constructing the Marina del Rey Parking Lots 5 & 7 Project. As part of construction, oversized materials need to be delivered to Parking Lot 5 (N/W corner of Admiralty Way & Bali Way). On Thursday, May 29th, from 8 am – 5 pm, eastbound Admiralty Way traffic, just before Bali Way, may be stopped temporarily to allow for these oversized loads to access Parking Lot 5. There will be a flag person directing traffic during these sporadic deliveries. Please be alert, observe workers & posted signage, and proceed with caution through the construction areas. Expect intermittent delays throughout the day. 05/07/2014 The Los Angeles County Dept. of Public Works is constructing the Marina del Rey Parking Lots 5 & 7 Project to install permanent stormwater best management practices to address water quality in the Marina. Construction is anticipated to start on May 19, 2014 and the duration is approximately 5 months. Working hours will be from 8 a.m. and 5 p.m., Monday through Friday (except holidays). - Work will take place within the parking lot. - Flaggers will be used intermittently during trucking activities to enter and exit the lot off of Admiralty. No other traffic control will be needed. - The County Bike Path through Parking Lot 5 will be detoured within the parking lot. Please adhere to the bikeway detour signage posted in front of the County Library to where the County Bike Path continues through Parking Lot 5 and across Bali Way. - There will be reduced parking spaces within the lot, but it will still remain open for public parking. - Work will take place in the parkway and at a few parking stalls within the lot. - Beginning in June, traffic may be reduced to one lane westbound along Admiralty Way in front of Parking Lot 7 only. The Marina City Drive left turn pocket will remain open. 05/05/2014 Southern California Edison (SCE) will begin upgrading underground cable and equipment on Admiralty Way beginning on 5/5/2014. They will start from Marina City Drive and move towards Fiji Way. Work is expected to last approximately 2 months. These upgrades will provide greater reliability to the area. During this work, SCE will be inspecting the physical condition of the equipment and if needed, will repair structures to install new cable. SCE will coordinate their efforts to provide affected customers with as much advanced notice as possible for pending outages. Normal working hours will be from 8 am – 5 pm, with some work occurring from 1 am – 6 am (for outages only). Lanes will be reduced to one lane in each direction where work is taking place. If you have any questions, please contact SCE at 1-800-655-4555. 04/21/2014 On behalf of L.A. County Dept. of Beaches & Harbors, L.A. County Dept. of Public Works is repairing curb and road damage on the Marquesas Way mole road (between Admiralty Way and the cul-de-sac) in Marina del Rey. Construction activities will begin on 4/28/14 and last approximately 2 weeks, during working hours only (8:00 am - 5 pm, Monday – Friday). Traffic may be reduced to one lane in each direction and turn pockets may be closed temporarily when in conflict with construction. Please obey the temporary construction traffic signs posted for your safety. Businesses are open during construction and driveway access will be maintained. Expect delays. 04/09/2014 The Los Angeles County Dept. of Public Works is constructing the Admiralty Way Street Improvement Project. This project is winding down and the final striping will be one of the last major impacts. Starting next Monday (4/14) and through the rest of the week, striping crews will be painting lane lines and pavement markings. Traffic will be reduced to one traffic lane in each direction and left turn pockets may be closed temporarily when in conflict with striping activities. There will be several different traffic patterns during this work so please be alert, observe posted signage and proceed with caution through the construction area. Businesses are open during construction. Please use Washington & Lincoln as an alternate route. Expect delays. 3/17 - Paving of Admiralty Way between the California Yacht Club & Bali Way, in both directions (between the hours of 7 am to 5 pm). 3/18 - Grinding of Bali Way & Mindanao Way between Admiralty Way & Lincoln Blvd, in both directions (between the hours of 9 pm to 5 am). 3/19 - Paving of Admiralty Way between Bali Way & Fiji Way, Bali Way between Admiralty Way & Lincoln Blvd, & Mindanao Way between Admiralty Way & Lincoln Blvd, in both directions (between the hours of 9 pm to 5 am). The paving work will be followed by temporary striping/layout, adjustment of utilities to grade and final striping. This work should be completed in the next few weeks. Traffic will be reduced to one traffic lane in each direction during grinding and paving activities. Left turn pockets may be closed when in conflict with construction. There will be several different traffic patterns during construction so please be alert, observe posted signage and proceed with caution through the construction area. Businesses are open during construction. Driveways may be impacted for a short amount of time while paving is being placed in front. Please use Washington & Lincoln as an alternate route. Expect delays. 3/10 - Paving of Admiralty Way between Via Marina & Palawan Way, in both directions. 3/11 & 3/12 - Grinding of Via Marina between Marquesas Way & Washington Blvd, in both directions. 3/14 and thru the following week - Paving of Admiralty Way between Palawan Way & Fanta Sea Yachts, both directions, then picking back up at Via Regatta (near The Ritz-Carlton) and moving towards Fiji Way, in both directions. Traffic will be reduced to one traffic lane in each direction during paving activities. Left turn pockets may be closed when in conflict with construction. There will be several different traffic patterns during construction so please be alert, observe posted signage and proceed with caution through the construction area. Businesses are open during construction. Driveways may be impacted for a short amount of time while paving is being placed in front. Please use Washington & Lincoln as an alternate route. Expect delays. 02/26/2014 LA County Department of Public Works is happy to report that the utility issue is resolved and work crews are scheduled! Over the course of the next few weeks, there will be extensive construction progress on the Admiralty Way Street Improvement Project. New trees and lower lying drought tolerant vegetation will start to be installed early next week. Final paving is expected to commence the week of March 10th. Pending minimal rain delays, we anticipate the project completion by the end of April 2014. Stay tuned for more updates related to the impacted areas during the paving operations. Thank you for your continued patience. 02/19/2014 The Department of Public Works has been managing the Admiralty Way Street Improvement Project, originally scheduled to be completed in February 2014. Unfortunately, due to some uncontrollable scheduling conflicts with a Utility Company, the new estimated completion date is April 2014. The sequencing of the utility installation was critical in order to power up the irrigation system that would provide water to the newly planted flowers and trees. Without the powered irrigation system, there is a delay in the planting and ultimately paving phase. All other work that could be done by our Contractor during the delay was completed. The Utility Company has just completed their work so we look forward to moving along quickly with the remainder of the project. We appreciate your continued patience and look forward to celebrating a fine outcome with the Community. 01/13/2014 Expect temporary Traffic Signal outages during Admiralty Way Street improvement project, 1/13/2014-1/16/2014. As part of Los Angeles County Dept. of Public Works Admiralty Way Street improvement, there will be a rolling traffic signal outage while the contractor is working to install new traffic signal arms and heads to accommodate the new lane configurations. The signal outage will last from 9 am to 3pm Monday at Fiji and Admiralty. Other intersections that may be affected are Mindanao and Admiralty, Palawan and Admiralty and Bali and Admiralty. City of Los Angeles will be on hand to assist with managing traffic control. Thank you for your patience. 11/20/2013 Los Angeles County Dept. of Public Works has begun grinding and repaving Admiralty Way as part of the Road Improvement Project. This week Fiji to Bali are scheduled to be impacted. There will be a significant amount of equipment, dust & debris as well as increased intermittent traffic congestion. Law Enforcement will be present as needed to ensure public roadway safety. Consider taking Lincoln or Washington to get out of the Marina but remember the entrance into the Marina at Palawan is closed due to a developer project. 10/29/2013 Los Angeles County Dept. of Public Works is concentrating on the Median work all along Admiralty Way. As part of the project, all of the old roots and debris from the trees that were previously located within the medians were removed. Medians getting reconfigured require the old unsuitable material to be removed and replaced with a new structural base material. Once this material is placed and compacted, new curb and gutter will be installed. The community should start seeing that work take place this week. Things may look no different from the morning to the afternoon for those who are just passing through, however, progress is being made. 09/30/2013 The Los Angeles County Dept. of Public Works is rehabilitating Admiralty Way with ADA driveway, curbs, sidewalks, median work including new landscape, traffic improvements and of course pavement. To make these improvements happen, Admiralty Way is reduced to one lane (the outside lane) between Fiji Way and Via Marina. Construction is expected to last through February 2014. Watch the transformation and please drive safely. 08/27/2013 The Los Angeles County Dept. of Public Works is constructing the Admiralty Way Street Improvement Project on Admiralty Way (between Fiji Way and Via Marina) and on Via Marina (from Washington Blvd to Marquesas Way) in Marina del Rey. Construction of the project is under way and our first major traffic impact will begin on Tuesday, September 3, 2013. Traffic will be reduced to one lane in each direction along Admiralty Way from Fiji Way to Via Marina for the next two weeks to accommodate the construction of new bus pads on Admiralty Way. There will be unavoidable delays with restricted right turn movement at Bali Way and Palawan Way heading north and west bound. Businesses are open during construction and driveway access will be maintained. Please use Washington & Lincoln as an alternate route. Expect delays. 06/25/2013 The Los Angeles County Dept. of Public Works is constructing the Admiralty Way Street Improvement Project on Admiralty Way (between Fiji Way and Via Marina) and on Via Marina (from Washington Blvd to Marquesas Way) in Marina del Rey. In an effort to minimize inconvenience, the start of construction has been pushed back until after the 4th of July holiday. Construction of the project will begin the week of July 8th and last for approximately 7 months. Traffic may be reduced to one lane in each direction along Admiralty Way, Via Marina, Bali Way, and Mindanao Way between 8 a.m. and 5 p.m., Monday through Friday. There may be unavoidable periods where a shortened detour needs to remain in place overnight. There will be several different traffic patterns during construction so please be alert, observe posted signage and proceed with caution through the construction area. Businesses are open during construction and driveway access will be maintained. Please use Washington & Lincoln as an alternate route. Expect delays. Please obey the temporary construction traffic signs posted for your safety. Expect delays. 05/08/2013 On behalf of L.A. County Dept. of Beaches & Harbors, L.A. County Dept. of Public Works is repairing curb and road damage as part of the Marina del Rey Mole Road Median & Roadway Repair Project on all mole roads in Marina del Rey. Construction activities will begin on 5/21/13 and last until approximately 9/10/13, during working hours only (8:00 am - 5 pm, Monday – Friday : Except Holidays). Each mole road will take approximately 2 ½ weeks to complete and the tentatively scheduled order is Marquesas Way, Panay Way, Palawan Way, Bali Way, Mindanao Way and then Tahiti Way. Traffic may be reduced to one lane in each direction and turn pockets may be closed temporarily when in conflict with construction. Please obey the temporary construction traffic signs posted for your safety. Businesses are open during construction and driveway access will be maintained. Expect delays. 03/11/2013 The Los Angeles County Dept. of Public Works is constructing the 18-Inch Water Line Replacement Project - Phase IIIA on Via Marina (between Marquesas Way & Panay Way) in Marina del Rey. Construction activities will begin on 3/11/13 and last until 6/28/13, during working hours only (8:00 am - 5 pm, Monday - Friday). Traffic may be reduced to one lane in each direction and turn pockets may be closed temporarily when in conflict with construction. Please obey the temporary construction traffic signs posted for your safety. Businesses are open during construction and driveway access will be maintained. Expect delays. 12/20/2012 The Los Angeles County Dept. of Public Works is constructing the Admiralty Way Settlement Repair Project on Admiralty Way (between Via Regatta & Palawan Way) in Marina del Rey. Tomorrow (12/21), grinding and paving operations will occur on the roadway within the project limits. Traffic will be reduced to one lane in each direction and the traffic pattern will be shifting as paving operations require. Driveway access will be affected into the Marina City Club, but one driveway will always remain open at all times. Please be patient and use caution when driving in and around this area. Happy Holidays! 12/06/2012 The Los Angeles County Dept. of Public Works is constructing the Admiralty Way Settlement Repair Project on Admiralty Way (between Via Regatta & Palawan Way) in Marina del Rey. A new traffic pattern will be installed on Friday, December 7th. Traffic will be opened back up to 2 lanes in each direction for the weekend. Please be patient as crews implement this new traffic pattern. Expect delays. Although traffic will return to normal, construction activities will still be ongoing. On Monday, December 10th, traffic will again be reduced to one lane in each direction for crews to continue to complete the work. This type of detour will only occur during working hours, 8 am - 6:30 pm, Monday thru Friday as construction activities occur. Outside of these hours and days, traffic will revert back to 2 lanes in each direction. When there are construction workers on-site, please observe signage, the 25 mph speed limit and use caution when driving through the area. 10/10/2012 The Los Angeles County Dept. of Public Works is constructing the Admiralty Way Settlement Repair Project on Admiralty Way (between Via Regatta & Palawan Way) in Marina del Rey. A new traffic pattern will be installed on Friday, October 12th. Please be patient as crews implement this new detour. Admiralty Way (between Via Regatta & Palawan Way) has been reduced to one traffic lane in each direction during construction. A left hand turning lane will be allowed for westbound traffic at Marina City Drive and a U-Turn will be prohibited at Palawan Way to access driveways on the south side of the street. The detour will remain in place 24 hours a day over the course of construction due to the excavation Occurring. Please be alert, observe posted signage and proceed with caution through the construction area. The speed limit through the construction zone is 25 mph and CHP has been enforcing it. Businesses are open during construction and driveway access will be maintained. Please use Washington & Lincoln as an alternate route. Expect delays. 10/10/2012 The Los Angeles County Dept. of Public Works is constructing a Waterline Replacement Project on a portion of Via Marina & Fiji Way, and all along Admiralty Way in Marina del Rey. On 10/10/12 & 10/11/12, work needs to be performed on Mindanao Way (heading from Admiralty Way to Lincoln Blvd) to complete the final restoration on the sidewalk. As a result of this work, the lane closest to the sidewalk will be closed during working hours. Please obey the temporary construction traffic signs posted for your safety. Businesses are open during construction and driveway access will be maintained. Expect delays. 08/29/2012 The Los Angeles County Dept. of Public Works is constructing the Admiralty Way Settlement Repair Project on Admiralty Way (between Via Regatta & Palawan Way) in Marina del Rey. Construction work will start September 4th and last for approximately 3 months. Admiralty Way (between Via Regatta & Palawan Way) will be reduced to one traffic lane in each direction during construction. Left hand turns will not be prohibited for westbound traffic, but a U-Turn will be prohibited at Palawan Way to access driveways on the south side of the street. The detour will remain in place 24 hours a day over the course of construction due to the excavation Occurring. There will be several different traffic patterns during construction so please be alert, observe posted signage and proceed with caution through the construction area. Businesses are open during construction and driveway access will be maintained. Please use Washington & Lincoln as an alternate route. Expect delays. 08/09/2012 In an effort to provide the Marina del Rey community with a dedicated bicycle lane on Fiji Way, Los Angeles County Dept. of Public Works is constructing a portion of our Fiji Way Roadway Improvement Project early. Although median island reconfiguration, median island landscaping replacement, and complete road resurfacing will need to wait until 2014/2015 (after other major work along Fiji is completed), we are able to provide the striping for a dedicated bicycle lane early. For traffic heading westbound, there will be two travel lanes and a dedicated bicycle lane. Since the road for the eastbound traffic is narrower, traffic will be reduced to one travel lane with a dedicated bicycle lane. This striping will be performed on Tuesday, August 14th, 2012. During striping operations along Fiji Way, driveway access may be blocked for 10-15 minutes to allow for the paint in front to dry, but workers will try to reduce as many inconveniences as possible. Signage installation and grinding activities will continue through Friday, August 17th. Please proceed with caution when you see construction vehicles and workers. Businesses will be open during this work. 06/25/2012 The Los Angeles County Dept. of Public Works is constructing a Waterline Replacement Project on a portion of Via Marina & Fiji Way, and all along Admiralty Way in Marina del Rey. On 6/26/12, 7/2/12, 7/3/12, 7/5/12, and 7/6/12, work needs to be performed at the intersection of Via Marina & Admiralty Way to complete the final tie-in connection to the new waterline. As a result of this work, the left turn lane from Southbound Via Marina to Eastbound Admiralty Way will be closed during working hours. Please obey the temporary construction traffic signs posted for your safety. Businesses are open during construction and driveway access will be maintained. Expect delays. 06/18/2012 The Los Angeles County Dept. of Public Works is constructing a Waterline Replacement Project on a portion of Via Marina & Fiji Way, and all along Admiralty Way in Marina del Rey. From 6/19/12 - 6/22/12, work needs to be performed at the intersection of Via Marina & Admiralty Way to prepare for the final tie-in connection to the new waterline. As a result of this work, the left turn lane from Southbound Via Marina to Eastbound Admiralty Way will be closed during working hours. Please obey the temporary construction traffic signs posted for your safety. Businesses are open during construction and driveway access will be maintained. Expect delays. 05/17/2012 The Los Angeles County Dept. of Public Works is constructing a Waterline Replacement Project along Admiralty Way in Marina del Rey. A portion of this waterline runs down Mindanao Way (between Admiralty Way and Lincoln Blvd). Due to the nature and location of this work, the two traffic lanes on Mindanao (heading from Admiralty Way to Lincoln Blvd) will be closed during construction activities. This closure will continue on Monday, May 21st thru Friday, May 25th during construction activities. The Waterside Shopping Center driveway on Mindanao Way may be closed when in conflict with construction. Expect delays. Please use Bali Way or Fiji Way as an alternate route to access Lincoln Blvd and obey the temporary construction traffic signs posted for your safety. Businesses are open during construction. 05/03/2012 The Los Angeles County Dept. of Public Works is constructing a Waterline Replacement Project along Admiralty Way in Marina del Rey. A portion of this waterline runs down Mindanao Way (between Admiralty Way and Lincoln Blvd). Due to the nature and location of this work, the two traffic lanes on Mindanao (heading from Admiralty Way to Lincoln Blvd) will be closed during construction activities. This closure will occur on Monday, May 7th for a few hours, then from Monday, May 14th thru Friday, May 18th during construction activities. The Waterside Shopping Center driveway on Mindanao Way may be closed when in conflict with construction. On Monday, May 21st thru Friday, May 25th, traffic may be reduced to one travel lane on Mindanao (heading from Admiralty Way and Lincoln Blvd). Expect delays. Please use Bali Way or Fiji Way as an alternate route to access Lincoln Blvd and obey the temporary construction traffic signs posted for your safety. Businesses are open during construction. Please obey the temporary construction traffic signs posted for your safety. Businesses are open during construction and driveway access will be maintained. Expect delays. 03/28/2012 The Los Angeles County Dept. of Public Works is constructing a Waterline Replacement Project on a portion of Via Marina & Fiji Way, and all along Admiralty Way in Marina del Rey. Construction activities at the intersection of Via Marina and Admiralty Way will take place between 3/28/12 - 3/30/12, during working hours only (7:30 am - 4 pm). The contractor will be using a flagman to divert traffic around construction activities when possible. If traffic conflicts with construction, the right turn pocket from Northbound Via Marina to Eastbound Admiralty Way may be closed for a short duration. Please obey the temporary construction traffic signs posted for your safety. Businesses are open during construction and driveway access will be maintained. Expect delays.